Following the postponement of all G.A.A. 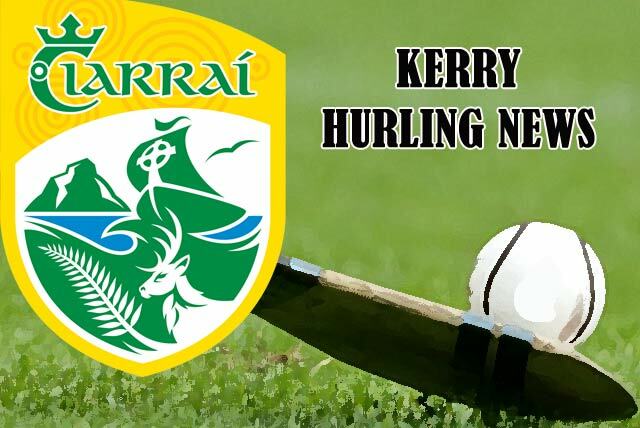 games last weekend, the Kerry senior hurlers will be away to Westmeath on this Sunday, 11 March in Round 5 of the Allianz Hurling League Division 2A. Venue is Cusack Park, Mullingar, at 1pm. Westmeath lead the Division 2A table with 8 points from 4 games. Kerry and Carlow are level on 6 points each but Kerry has a superior point’s difference. Meath remain on 4 points after 4 games. Kildare and London, who meet in the last round are still pointless. The top two teams after this weekend’s series of games will contest the Final. The 2018 Credit Union Co. senior hurling league Division 1 will commence on the weekend of 18 March. St. Brendan’s v Causeway (first named at home). Division 2 gets underway on Wednesday, 30 May. The North Kerry Intermediate League round 1 has been fixed for Friday, 6th April and will continue each Friday during April. The North Kerry Intermediate Championship will be played in May, with the quarter finals on Friday, 4th, semi-finals on Friday, 11th and the Final on Saturday 19th. The North Kerry Minor championship will be played during April, commencing on Monday, 2nd (Bank Holiday) with subsequent rounds on Sundays, 15th, 22nd and 29th. Congratulations to Denis Treacy on receiving the Hall of Fame award at the recent Kilmoyley Hurling Club Social. Denis was honoured for his many years of commitment and dedication to the club as a player, mentor, referee and official. He was a member of the Kilmoyley team that won the 1971 Co. senior hurling championship, playing at corner forward in the final win over Abbeydorney. Tralee Parnell’s hurling Academy for children born from 2005 – 2013 continues on Tuesday next, 13 March from 6.00p.m. at Tralee Sports Complex. As usual, equipment is available to borrow and all boys and girls are welcome. Further details on the Tralee Parnell’s website. The club will also hold an Easter Hurling Camp from Monday, 26 March to Wednesday, 28 March. To book a place, text 085-1355566.